Internet geeks know you are supposed to shave with a safety razor. It's how you Grandpa did it, and maybe even your dad. Real shaving with a safety razor involves a badger bristle brush, a mug full of shaving soap and a very sharp blade. It's an art, time consuming, and you will bleed. But, it's supposed to be far more economical than say a Mach 3 Razor, better for the environment and better for your face. I'm not quite ready to buy into all that hype. However, my package of bulk purchased Costco razors were coming to an end, so I decided I should try something different. Option one was to try the safety razor approach, option two was to check out DollarShaveClub.com (yes, based solely on one advertisement I saw). I decided to go with option one. So, how did the setup actually work? I've got say, pretty well. I skipped the shaving brush and fancy soap (for now, I suppose), but I do shave in the shower--which I think helps immensely regardless of the razor. I was expecting the process to super tricky, assuming that I was attempting something as difficult as shaving with a straight razor. I couldn't have been more wrong. The "safety" part of a safety blade applies here. The blade is setup so that unless you're at the right angle, you won't cut anything. I just keep reminding myself to let the weight of the shaver do the work, and the process went smoothly. 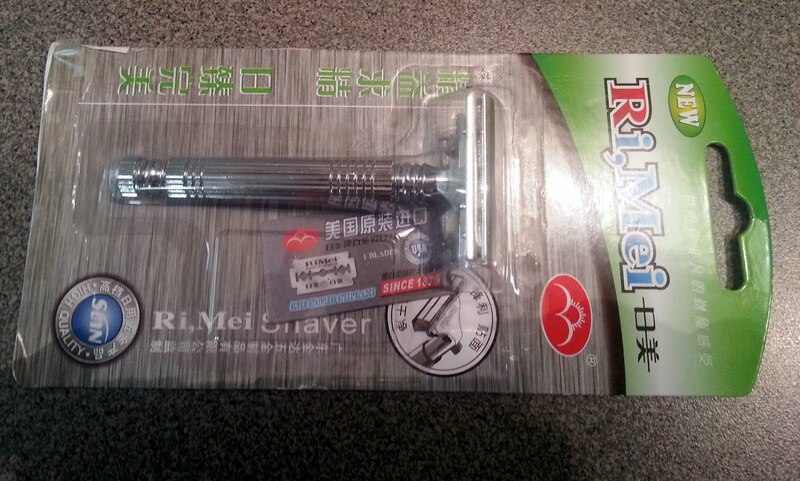 I've now shaved twice, and the shave is just as good that from the fancy multi-blade contraption I was using. I plan to get a few more shaves under my belt, and then really put the setup to the test: I want to shave and have Shira guess to see which razor setup I used. That's the true test, I suppose. 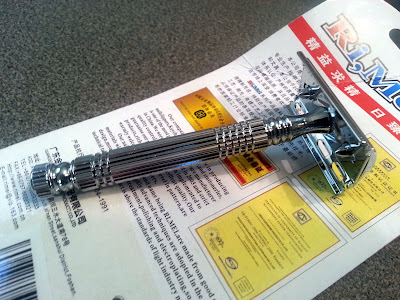 Still, if you've never tried a safety razor, you should totally give it a try. If nothing else, for a few minutes in the morning, you'll feel that much more manly. I've been thinking of making the blade switch myself. I've be brush and blade shaving for years. I was first using the Mach 3, now I'm using the Fusion, but I've been thinking making the switch for traditional reasons... cost. keep me posted on how it goes. Though, that $6.00 razor from Amazon sure does make it pretty painless to try the setup out.